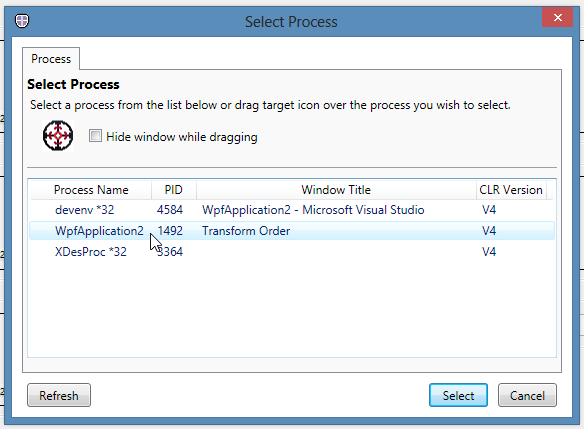 Once you install the WPF Performance Suite, you can use the tool to analyze the performance of your application. 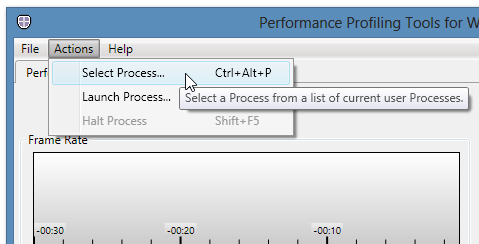 After starting the WPF Performance Suite, click on the Perforator tab. The next step is to run your WPF application. Once the application is running, under the Actions menu, click on Select Process. Select your application from the list and click the Select button. The Perforator app will begin collecting data from your running WPF application and you’ll see various data displayed in the graphs. 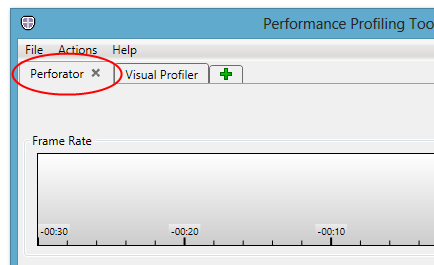 Perforator is showing you the rendering performance of your application. If nothing is being updated, both the Frame Rate and Dirty Rect Addition Rate graphs will report 0. If you are updating something in you application, you generally want the frame rate to be as high as possible and the Dirty Rect Addition Rate to be as low as possible.